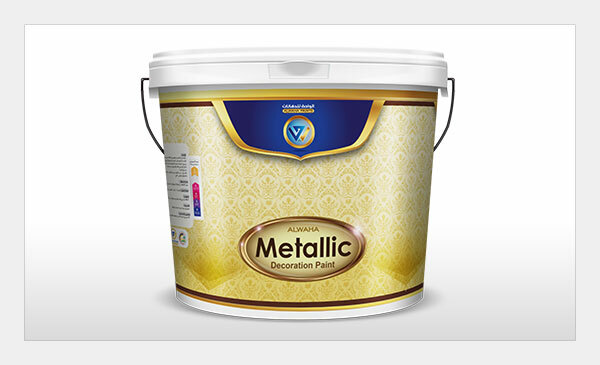 Description: Metallic is a high quality 100% pure acrylic, water base product with gold sparkle used for decorative effects such as(sponging, ragging, combing, marbleizing,………). Surface must be clean,free from oil,grease,dirt,………,etc. Absorbent substrates should be moistened withe Alwaha sealer before putty. Use sealer&primer Alwaha for priming purposes. Alwaha putty to be applied without further additions. Put one or Two coat of Alwaha Semi-gloss or Alwaha eggshell (7%). Spreading Rate: 10-15m2/l per coat (according to surface nature, chosen effect, style of painting).